I would have never found Nisolo without Nift! Such a cool concept and great products! Yes,yes,yes. Got my purse and it's stylish, elegant and just enough. I'm excited about this purchase. I couldn't afford any of the footwear but I got some lovely leather conditioning cream! Great quality of shoes and accessories! Superior quality items. So happy to be able to try this company that I’ve not heard of before. Beautiful, simple, versatile leather accessories. Thank you. And the staff person who helped me on the phone was very nice and very efficient. Nisolo is an interesting shop. They have a lot of timeless, classic styles and are a bit upscale. I used my Nift to find some jewelry and discovered they work exclusively with brass. Brass is pretty, but it can be reactive-so head's up on that! 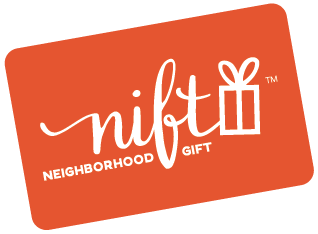 This is my first time ordering a Nift gift. The gift selections are top notch and the service was excellent. Beautiful quality canvas. I wish the leather traps were a bit longer, esp. for the winter when our coats our so bulky, but otherwise, a nice size tote. The earrings felt a little cheap. I didn't pay full price for them so I was not disappointed but I might have been if I'd paid the full cost.